Our industry is full of those who pepper their talk with mystifying gobbledygook, possibly because it makes them sound as if they know what they’re talking about. The real test is to find someone who can decipher all the industry jargon + acronyms and turn them into something we can all understand. We explain some of the terms you may come across, set out in alphabetical order below. If you need help with understanding any AV or lighting control technology, just give us a call. We are happy to help. 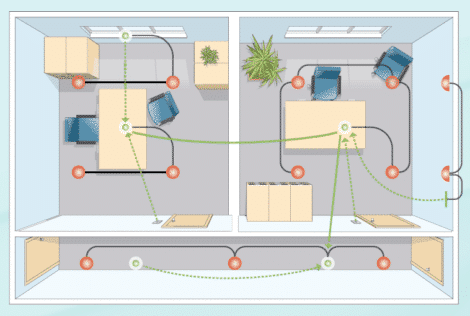 Simple presence detection operates by turning lights on when a sensor detects occupancy, and off after a set period once occupancy is no longer detected. With presence detection light switches are not necessary. 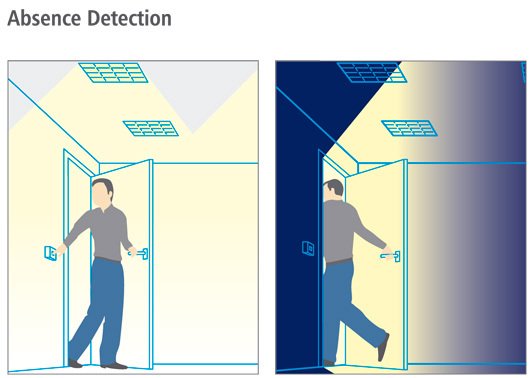 When an area is set up for absence detection, someone entering the room still operates a push button or switch to turn on the lights, but the detector senses when the room is vacated and switches off the lighting automatically. Not all sensors allow for absence detection. Where absence detection is employed, energy savings are usually greater than via presence detection. This term refers to the huge volume of data that is constantly being generated in today’s world. 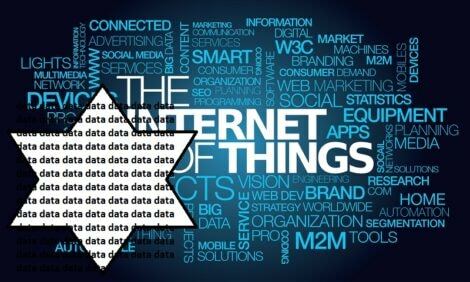 The growth of the Internet of Things and connected devices has contributed in a massive way and the data generated from these devices is growing exponentially. 90% of the world’s data has been generated in the last two years! Stands for Compact Fluorescent Lamp. 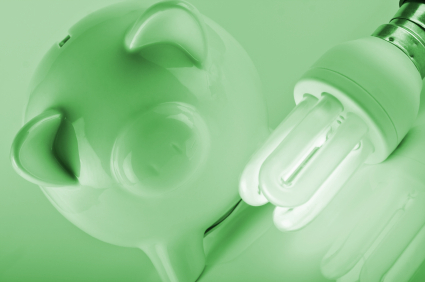 Often referred to as “energy saving lamps”, compact fluorescent lamps have failed to gain universal acceptance due to perceived deficiencies in colour, power, and the delay in reaching full output. Substantial investments by the big lamp manufacturers have resulted in huge improvements in all these areas and CFLs are well worth considering. Colour temperature describes a light source as ‘warm’ or ‘cool’, indicated by the correlated colour temperature (CCT). Lamps with a warm appearance and a CCT of 2700-3000K are considered appropriate for domestic settings. 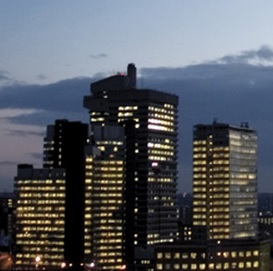 Cooler lamps of around 4000K are used more often in commercial settings such as offices and retail. Contrary to what might seem logical, the higher the colour temperature, the ‘cooler’ the appearance! Connected lighting is a term that is commonly used to cover a multitude of things: everything from basic dimming to specialised two communication with light fittings, enabling the lights not only to receive commands, but to report data back. 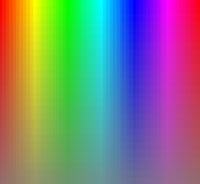 CRI, or ‘colour-rendering index’ is the ability of a light source to properly show the colours of objects illuminated. Lamps with a low CRI can distort some colours. 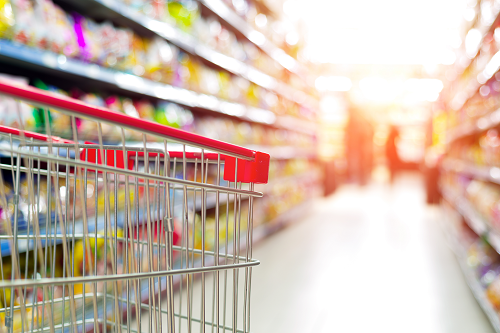 This has huge impact in places such as retail stores where poor lighting can make pre-packaged meat for example appear brown and unappealing, or result in a customer buying a clothing item, and then discovering the colour is very different in daylight from how it presented in the store! 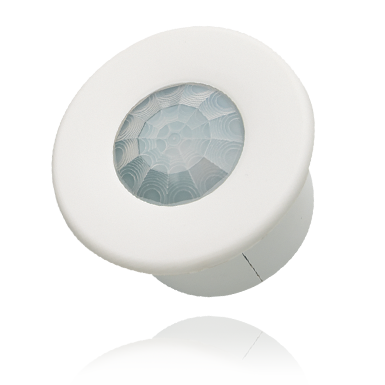 The higher the CRI of a lamp, on a 0-100 scale, the more accurately colours will be shown. 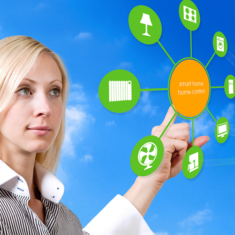 The Internet of Things (or ‘IoT’) is about the expansion of the types of devices that can connect to the internet to include not just computers and phones, but a vast range of household and business appliances, even lights! 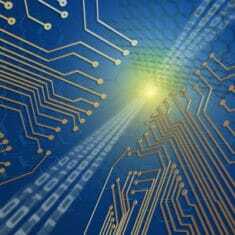 Current estimate is that there are already over 12 billion IoT devices available, and by 2020 this could rise to 50-100 billion! Standing for “Ingress Protection”, an IP rating defines levels of sealing effectiveness of electrical enclosures against intrusion from foreign bodies such as dirt and moisture. The higher the figure, the more effective is the protection. 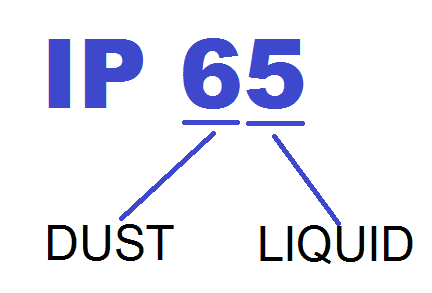 The first figure in an IP rating gives the effectiveness against dust, the second figure the level of protection against water. kWh stands for ‘kilowatt hour’ and is a unit of energy equal to 1000 watt hours. This is basically what a 1000W device would use in one hour. Your electricity bill is calculated in kWh. To work out the running cost of a particular appliance for example, take the wattage of the device, multiply by the number of hours you use it, and divide by 1000. (Dividing by 1000 changes it from watt-hours to kilowatt-hours.) Then times that by the cost per kWh from your power bill. 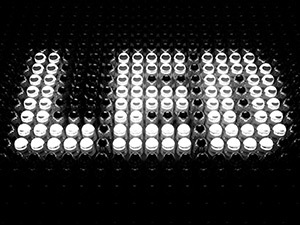 An LED lamp is a light-emitting diode (LED) product assembled into a lamp (or light bulb) for use in lighting fixtures for environmental and task lighting. Advantages over incandescent lights include lower energy consumption, longer life span, smaller size, and faster switching. More expensive initially, LED lamps are said to be more cost effective long term through reduced energy consumption and maintenance. With more LEDs being specified, it is crucial that those included in a lighting design, are suitable for their proposed use. Dali is rapidly becoming the preferred method for dimming LEDs. ‘Lux’ is used in both singular and plural. It is the international measure of illuminace – measuring how much luminous flux (lumens) is spread over a given area (in square metres). Basically a measure of how much light arrives at a surface. One lux is equal to one lumen per square metre. 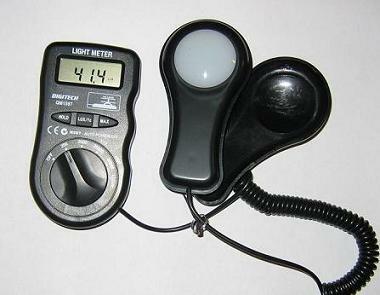 Multiply the lux by the amount of time in hours to measure exposure in lux hours. Useful when considering surfaces or objects that shouldn’t be exposed to too much light. An independent NABERSNZ Certified Rating shows exactly how well a building uses energy, compared to other commercial office properties. Certified Ratings range from 0 to 6 stars: the more energy efficient your building, the higher your rating. Short for ‘passive infrared,’ PIR is one of the main technologies used in presence and absence detection. This allows lights to be turned on or off according to whether an area is occupied or not. PIR sensors work by measuring the infrared light radiated from objects in their field of view. They are able to detect heat from objects in a way that is undetectable to humans. In a wireless ‘mesh’ network, each node is able to relay data and all nodes work together to distribute data across the network in the most efficient way. An advantage of employing a mesh network topology is the ability to redirect messages in different ways around the network thus providing enhanced immunity from interference, or any other glitch within the network. For lighting control we recommend a system specifically designed to meet these needs. By ensuring control messages are only routed to specific devices according to the needs of the system, the amount of data traffic generated is significantly less than with other wireless lighting systems, resulting in faster and more efficient operation. If you need some assistance in translating the “gobbledygook” around smart home, audio visual or lighting controls technologies, do give us a call. We are happy to have a ‘no nonsense’ conversation, and help you source the information you really need.